Being a vegetarian can sometimes be a bit tough. It’s never pleasant going to a restaurant and watching everyone else agonising over the tempting choices while knowing there’s only one option for you. 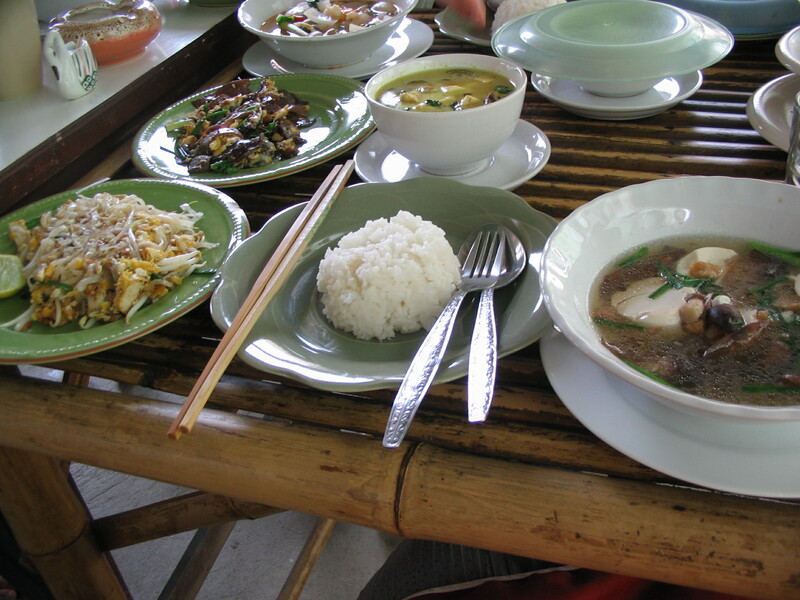 And for me, a key part of travelling is trying the cuisine, and sometimes it’s just not possible to find dishes with neither meat nor fish. 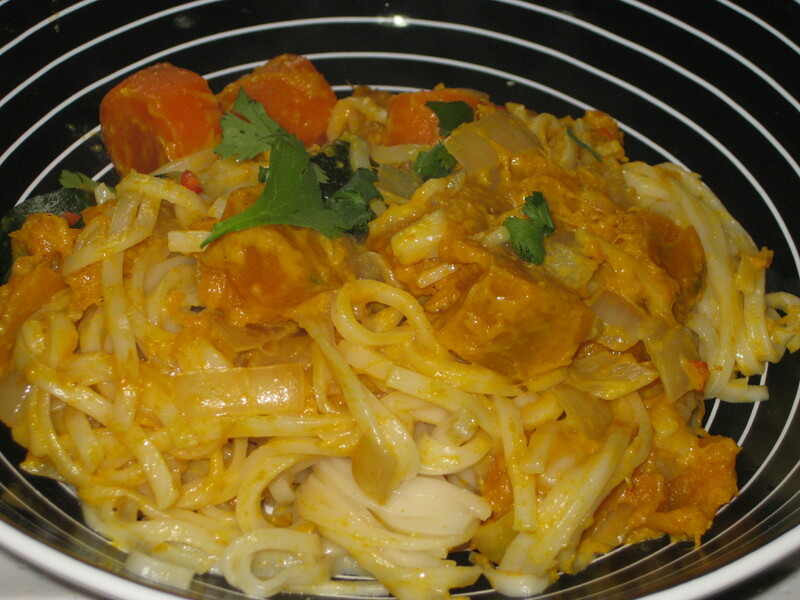 It’s not very often that I cook Thai food now, but this really tasty noodle dish may have rekindled my love for it. It’s an incredibly delicious noodley feast, and with the exotic taste of the coconut milk and Thai flavours, I could imagine myself tucking into it in a local restaurant after a long day lounging on the beach! Lovely! 1. Preheat the oven to 220C. 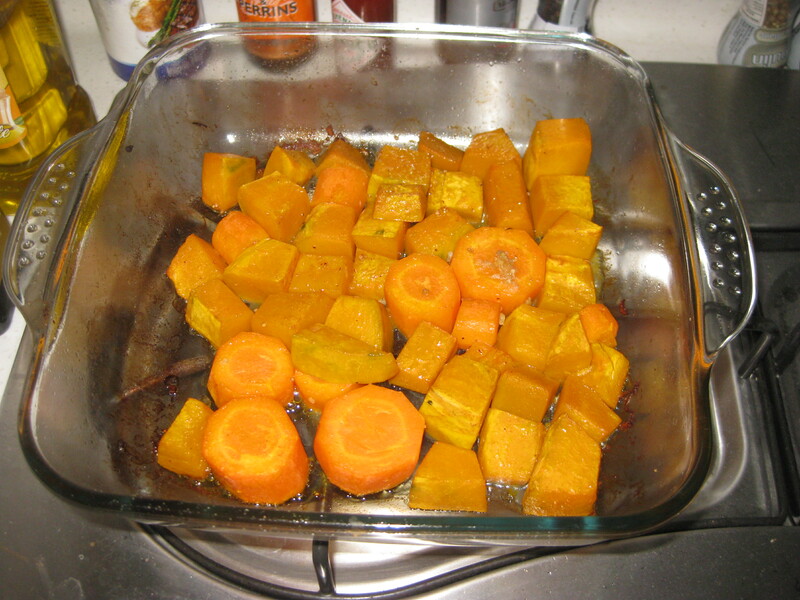 Place the pumpkin, carrot and 2 tbsp oil in an ovenproof dish, with some of the garlic, seasoning and tabasco. 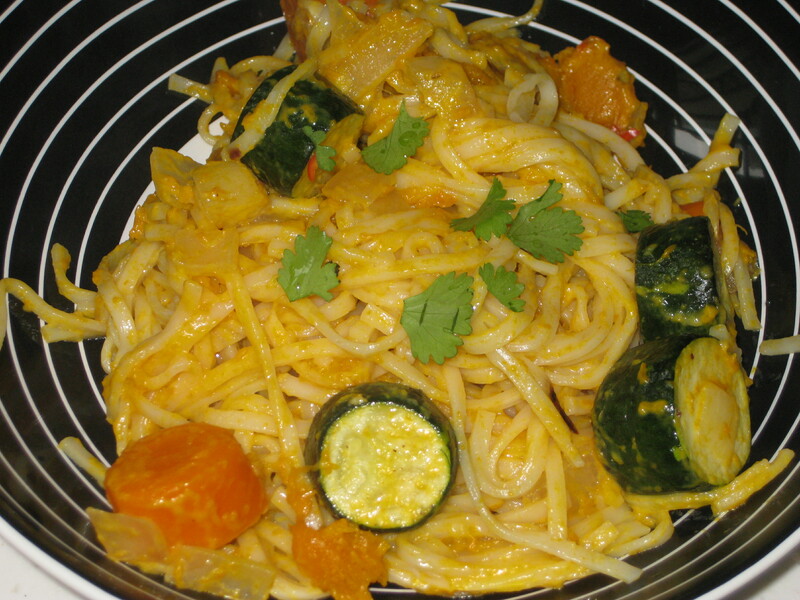 Do the same with the courgette in a separate dish – it takes less time to cook. 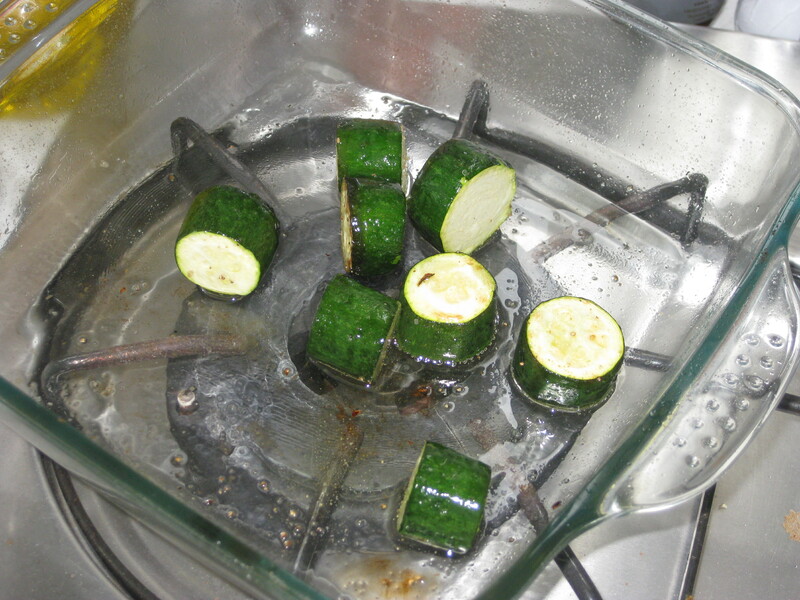 Roast the courgettes for about 10 minutes, until browned. Roast the pumpkin for 20-25 minutes until tender and golden brown. 2. 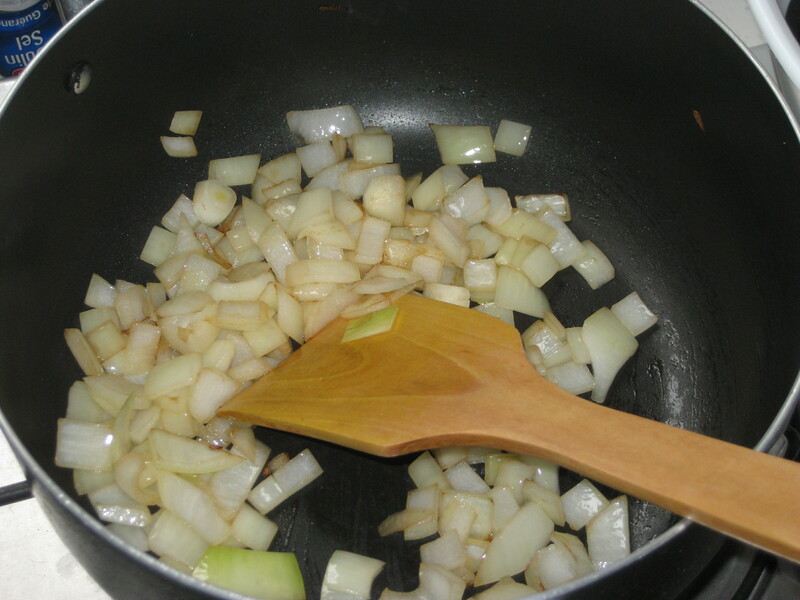 Meanwhile, fry the onion in the remaining oil until golden, then set aside. 3. 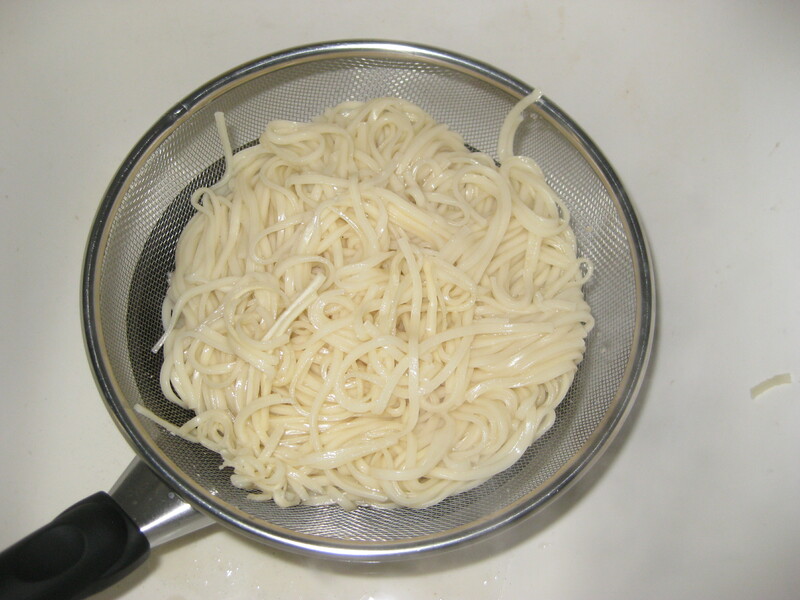 Cook the noodles in boiling water seasoned with tamari, according to the packet instructions (about 4 minutes). Drain and set aside. 4. 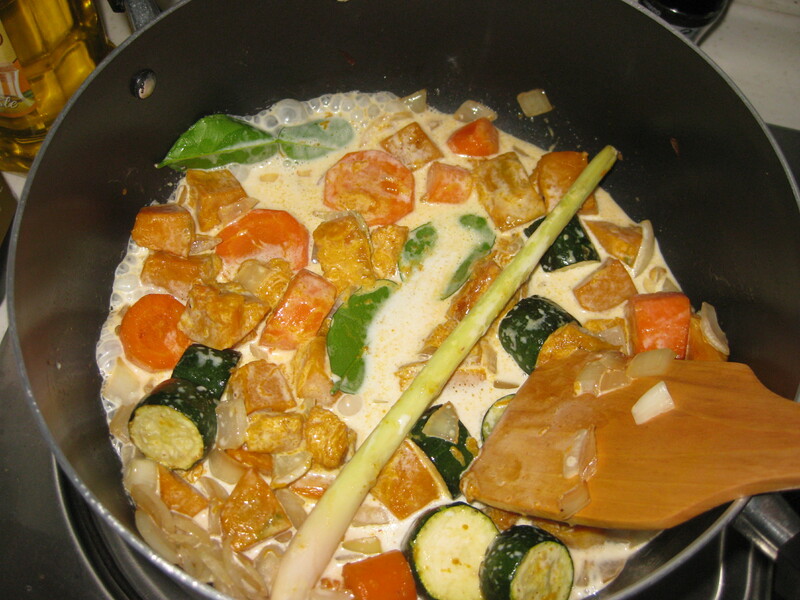 Add all the roasted vegetables to the fried onions and pour in the coconut milk. 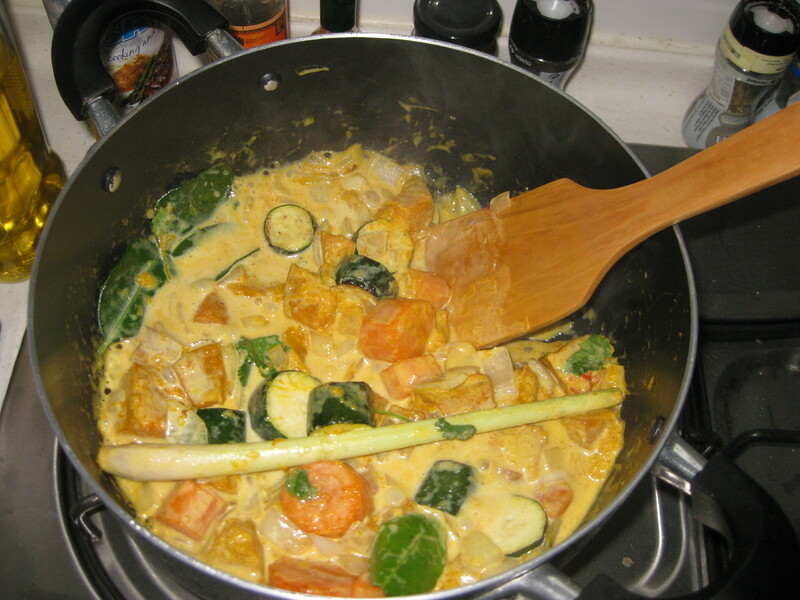 Add the lemongrass and kaffir lime leaves. 5. Simmer gently for 2 minutes, adding most of the lime juice, chilli and corainder (reserve a little for the garnish). 6. 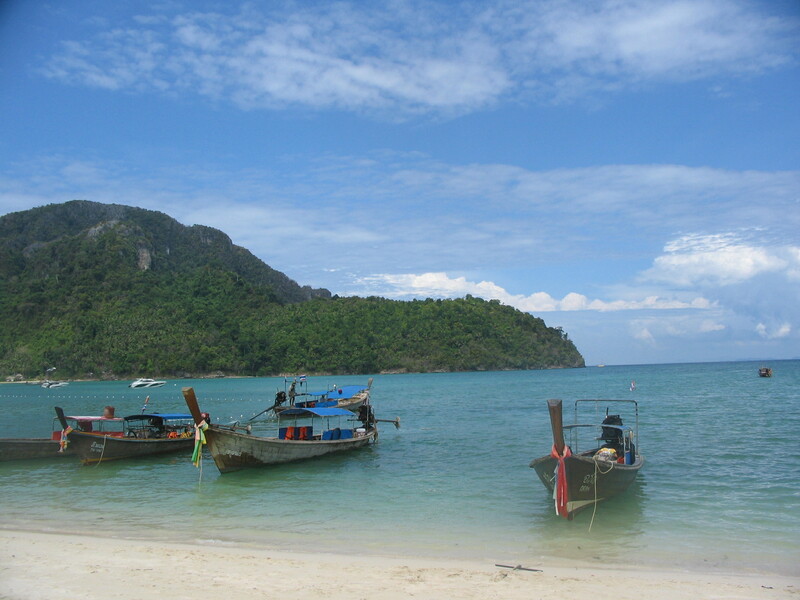 Remove the lemon grass and lime leaves. Add the noodles, stir through quickly, then serve garnished with the remaining chilli, coriander and lime juice. 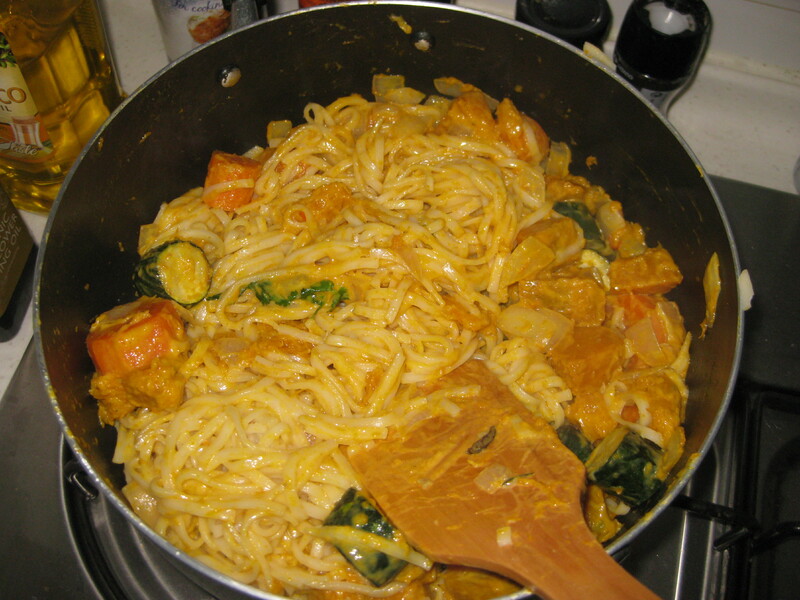 This entry was posted in Vegan Recipes and tagged Asian food, noodles, Thai vegetarian food, vegetarian noodles. Bookmark the permalink.